J.D. Power has released its 2018 Initial Quality Study which found new vehicle quality has improved for the fourth consecutive year. The well-regarded study measures the number of problems experienced per 100 vehicles during the first 90 days of ownership. Eight different categories are measured and a lower number of problems indicates a higher level of quality. 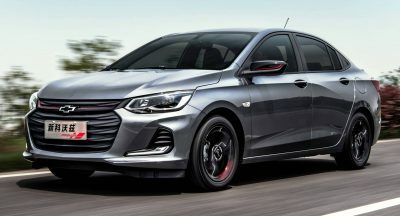 Jumping right into the data, Korean brands were the best in this year’s study as Genesis, Kia and Hyundai secured the top three spots. They were followed by Porsche, Ford and Chevrolet. At the bottom of the list was Land Rover which had 160 problems for every 100 vehicles in the first 90 days of ownership. For comparison, the industry average was 93 problems in the same period of time. Land Rover wasn’t the only luxury brand to find itself at the bottom of the list as the brand was just behind Jaguar and Volvo. Of course, not all vehicles are created equal even when they come from the same brand. That can be seen in the class rankings where some companies with mediocre scores walked away with a win. Starting with smaller vehicles, the Kia Rio was deemed the best small car while the Toyota Corolla won top honors in the compact car class. 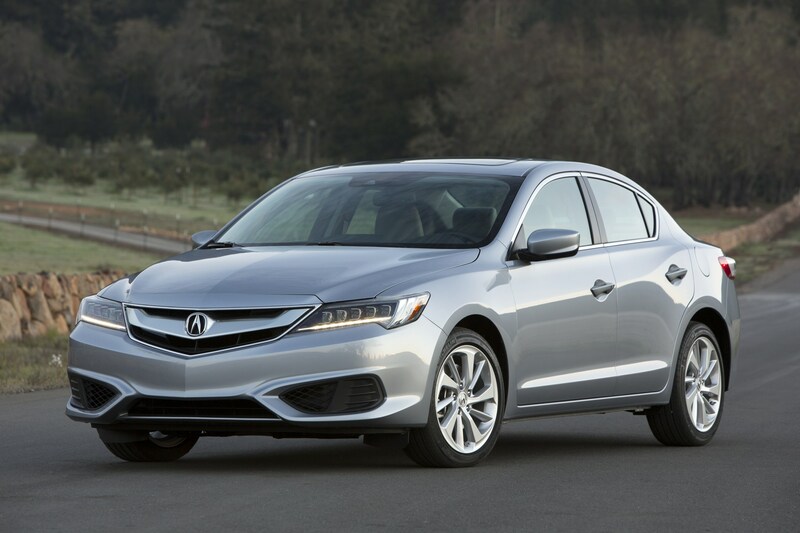 On the luxury side, buyers looking for quality should check out the Acura ILX and BMW 4-Series. Moving onto larger vehicles, the Nissan Altima was deemed the best mid-size sedan while the best premium mid-size model was the Lincoln Continental. Nissan racked up another win with the Maxima which was dubbed the best large car. Likewise, the Genesis G90 beat out the BMW 7-Series and Mercedes S-Class in the large premium car segment. 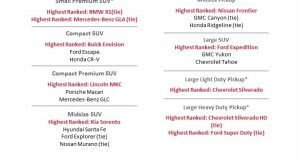 Crossovers remain popular with buyers and mainstream models with the best initial quality are the Buick Envision, Kia Sorento, Hyundai Tucson and Ford Expedition. On the luxury side, winners include the Mercedes GLA and Lincoln MKC. 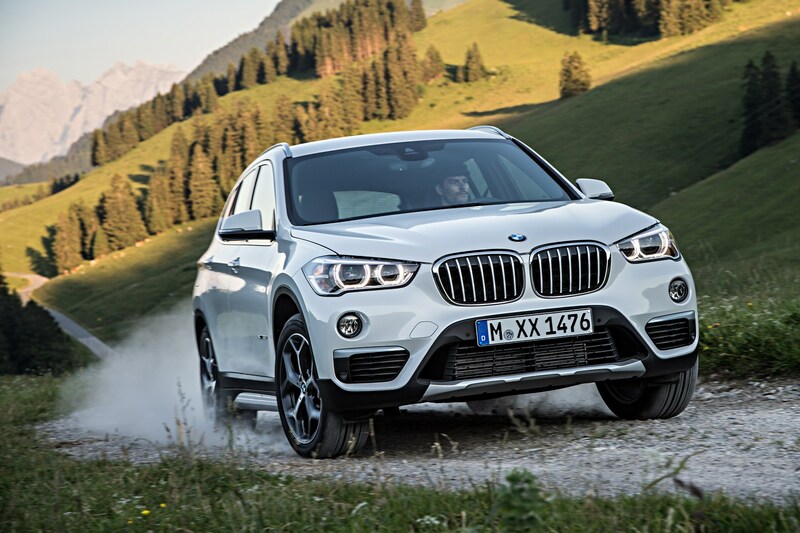 BMW also racked up wins for the X1 and X6. 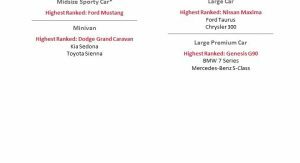 Other class wins went to the Chevrolet Silverado and Silverado HD, Ford Mustang and F-Series Super Duty as well as the Dodge Grand Caravan. 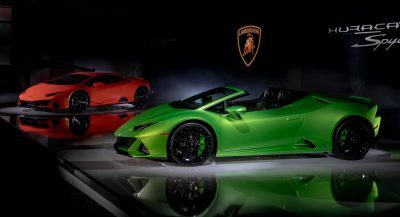 Among the key takeaways from this year study were improvements from Ford, Fiat Chrysler Automobiles and General Motors. The Porsche 911 also had the lowest number of overall problems this year and infotainment systems are getting better. Unfortunately, there are an increasing number of problems with driver assistance systems. While all three domestic automakers saw improvements in initial quality, the most improved brand was Mazda. It was followed by Mitsubishi, Cadillac and Infiniti. This makes me very happy for the Koreans who have worked hard, learned fast and are producing quality product. And now that Hyundai was smart enough to steal BMW’s head of “M” division, I expect we’ll see some even faster great cars. P.S. 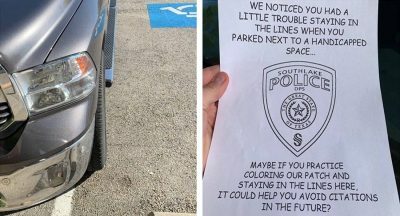 Subaru and Volvo at the bottom? !… Ouch! I bet they are mostly infotainment related “quality” gripes, which are mostly subjective from consumer to consumer, and therefore should not be considered as important criteria for overall level quality and reliability. That makes sense. I was really confused looking at that chart. 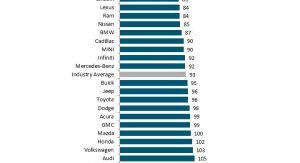 Toyota and Honda are definity not below average for reliability or what would typically considered “quality” but if it’s counting every complaint about the car then I guess it adds up. It doesn’t really say too much though. How do you know Toyota and Honda are definitely not below average? It’s entirely possible that the rest of the industry has passed them by. Btw: I don’t put much value into any of these surveys, no matter who produces them. At the same time, I’ve never been a big fan of the assumption that Toyota and Honda are magic. They’re not. I didn’t say they’re magic but the faith people put in their reliability didn’t come from nowhere. I’m also don’t doubt that other automakers have improved but I really doubt that half the industry is now above them in terms of real quality. My comment was mostly motivated by my realization that this survey basically asks “Is there anything that you don’t like about your car?” and then counts the yeses but it’s also motivated by the more objective findings that Toyota/Lexus makes the most reliable cars. It’s not really an assumption. Honda (and even more so Acura) have been falling in the long-term reliability studies (not just JDP but Consumer Reports as well) due to problems with new powertrain components, in particular transmissions (which has been a problem area for Honda/Acura – i.e. prematurely imploding 6 spd AT), including the ZF-sourced 9 spd AT. Exactly, even the infotainment system in Lexus/Toyota products doesn’t break any new ground with slight changes over the last several years. Exactly, this survey should be taken with a grain of salt. Many of these issues are related to the consumer not knowing how to utilize an item and then blaming the manufacturer. Where are you getting the data for that? I see others making suppositions on what they think is the problem without any data. The tracking is based on “defects/malfunctions”. From articles I’ve read, all of the car manufacturers subscribe to JD Powers. It is of great value to them. I have worked for several automakers where we review this data. If a customer doesn’t understand how to raise the volume even, they can flag it and it gets recorded as a default. You will see many brands that introduce new vehicles with different tech than what they have had in the past take large drops in this survey specifically, especially if they do not teach the customer how to use the product. That is why especially with luxury brands, you will see they are heavy on teaching classes, and “genius bars” because they want you to actually learn the stuff before you hurt them on these surveys. That is why when customers say they don’t need help and leave, it frustrates a lot of dealers because they know this will come back to haunt them on JD power surveys and SSI surveys from the manufacturer. I can see what you’re saying since you’re in the biz. Intuitiveness and ease of use/functionality is not to be overlooked (after all, that’s what Apple’s iOS is most lauded for). Something that is ergonomically problematic or not intuitive 90 days into ownership will still likely be so 3 years into ownership. Not necessarily. Most people loathe car dealers and even when the sale is done, they do not take advantage of lessons to learn new tech. iOS isn’t necessarily lauded for its ease of use. It’s generic and has barely changed. All they do is refine it. Cars are not that way. They have dramatically changed to be more like modern tech, but people on the other hand have not and in many cases don’t care to learn and just complain about things. Even people at the Genius bar get frustrated bc apple people come in complaining about things not working, when they just don’t take the time to learn it. Like the Kia Stinger than some reviewers in Australia were raving about even thought the car they were given had bits and pieces of interior falling off. probably problems with Amazon Alexa in the new Toyotas? They also track 1 year and up to 4 years. I’ve seen the numbers many times and the ones that are at the bottom tends to stay there. The majority of these complaints in the higher end vehicles are most likely mundane problems with non-essential items like the infotainment. 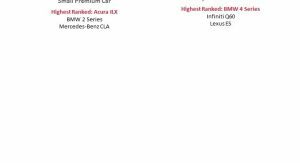 While I think that the vehicles higher on the list will be good short-term(3-year lease), a Mercedes E300 or Volvo S90 will still be in perfect working order 7-8 years from now. I’ll wait for the long-term quality reports to make any final judgments. I don’t know about Volvo now that they have switched to sewing machine engines with batterieries attached. And their parent company is Geely and Chinese company. China isn’t known for producing quality anything including cars. Won’t know for the ’18MY until 3 years from now. But the 2018 JDP VDS had Kia #5 (top mainstream brand if not counting Buick) and Hyundai tied for 6th – ahead of both Toyota and Honda. With Audi’s design language and reliability circling the drain, now is the time for Genesis to take advantage. Develop a distinctive, timeless design vocabulary and eat Audi’s lunch. 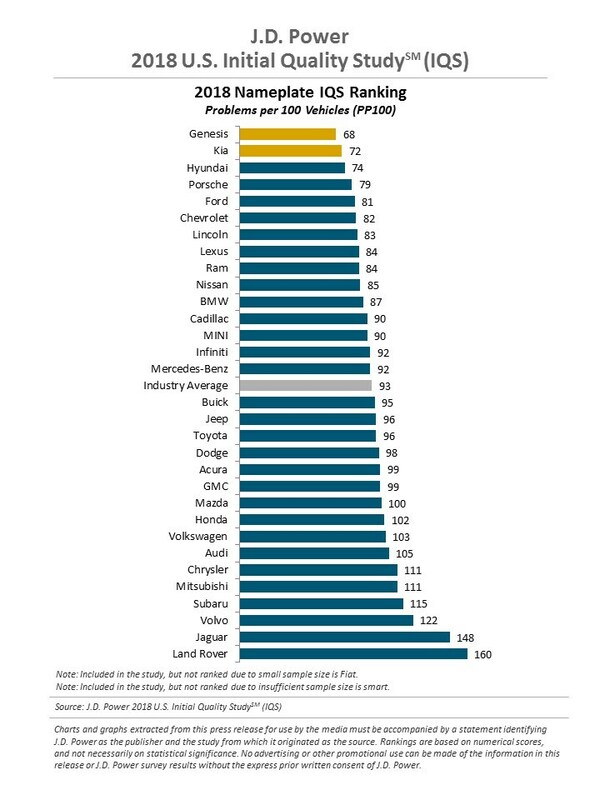 Theres is more to a car than reliability based on consumer surveys. So what type of person could be bothered to complete a survey let alone a J.D. Power Survey? If someone cold call telephones me, I tell them to go away. Assuming if I actually even talk to them before hanging up. If I get an email. Unless it is a survey relating to my Dealer from the car manufacturer then I would not even bother. If it arrives by mail it goes into the circular filling cabinet. I’ve always been concerned that surveys really only take into account he opinions of those who are OK taking surveys. I’m not one of those people, so my personality type isn’t represented. Ironically, Hyundai and Kia these days are being bashed by Korean consumers as the company’s quality issues continue. One of the recent issues is that some Sorento, Sportage and Tuscon owners complained that white dusts kept blowing out of the A/C, which is turned out to be sodium hydroxide and aluminium dusts, which can be toxic when exposed for extended period of time. The cause was unknown and Hyundai / Kia are not willing to investigate, hiding the facts. Korean consumers filed multiple petitions to government and 10K+ people signed. And there’s been an issue with newly-released Santa Fes not being able to climb uphills due to the bad transmission software. Also there was an issue with 8-speed transmission of Azera cannot upshift past 5th gear.. the list goes on.. Even if Hyundai / Kia dominated the JD power survey, I don’t buy that, and I personally hate the way Hyundai / Kia playing the facts as PR materials to Korean consumers. Korean consumers don’t give a damn, and they have been pissed off of being treated as “beta testers” before the company rolls out the new products in overseas market. The KDM models tend to be more expensive, have shorter warranties, and less reliable etc. You can buy any cars including Hyundai / Kia as you please, but do know for sure that the company itself is not an ethical or responsible one. And these days, many Hyundai and Kias started to catch fire in the US as well.. Impressive. I’ll be honest, the 1995 or 2005 me would never have guessed that Hyundai could ever be taken seriously. What’s also interesting is how Lexus and Buick have dropped. 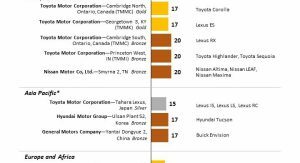 Toyota is well below Nissan or Infiniti, or even Ram and Mini. Toyotas are such vile looking cars, they’ll have nothing going for them once the perception of quality is gone. What’s not at all surprising are the two brands on the bottom. In my experience, Land Rovers and Jaguars are little more than pretty driveway ornaments. You do realize that this is a 90 day survey largely about nothing? The real survey from JDP is the 3-year dependability survey. Yes. I get that. The dependability study is more important. This one addresses annoying issues. Things that are annoying, uncomfortable or inconvenient within 90 days of ownership tend to still be so 3-5 years down the line. Who else noticed Fiat is gone? LOL @ land rover. Doesn’t make me not want the Velar though. Land Rover is frustrating me. Been wanting to get the Range Rover Sport or Velar but I’ve seen them at the bottom in quality for years. Spoke to salesman/specialist last year at the auto show and he said the problems were the Ford made products that are now phased out. On this site – i’ve read all the complaints about quality. I hear from others about air suspension, and transmission issues etc. I keep hearing – you don’t buy a Land Rover – you lease them and give it back before the big problems arise. Damn they’re beautiful vehicles. They’re like sirens calling you and then you find your ship has crashed against the rocks. 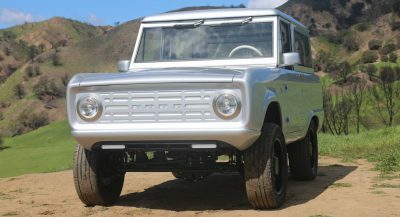 Any one out there with a positive opinion on Land Rover? wow, a whole 90 days this is amazing info. hasty people still do care lol. It’s interesting to me how neither the Accord or Camry made any ‘top three’ list. Total BS. 911’s are plagued with issues like all German cars. They are simply driven almost no miles every year. With these metrics, Im surprised the LaFerrari or Chiron aren’t the most reliable cars in the world. How’s the long term quality though?